Was anyone else OBSESSSED with The Sims as a kid? I certainly was. Oh the hours days weeks of my life that I've wasted on that game! I definitely don't still play it now, aged 21 *cough cough*. Today I thought I would enter real-life Buy Mode with you all and share my interior design inspiration. Money no object, of course! In January, I wrote a post all about my dream home, talking about my ideal seaside location and my fantasy walk-in closet! Now it's time to stock that home with fabulous furniture! 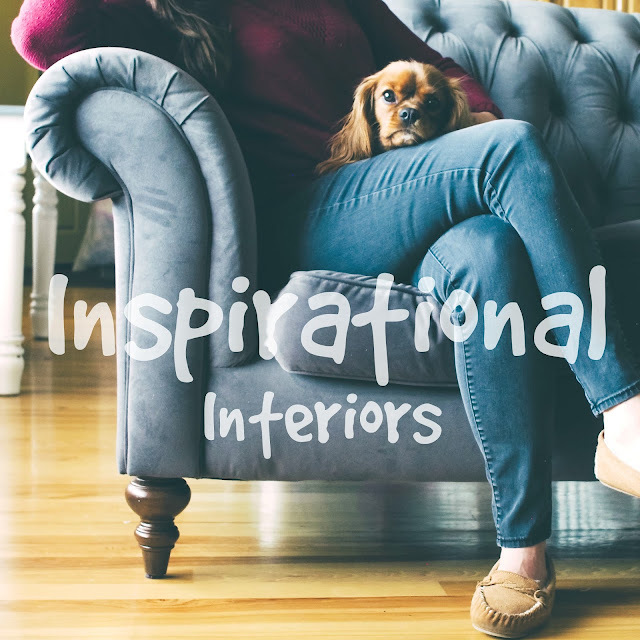 This is a collaboraitve post with the lovely people at Cloudy2Clear Windows, who invited me to share my interior design inspiration with you as part of their efforts to save your view! * More on Cloudy2Clear later, let's dive into the interior inspo! 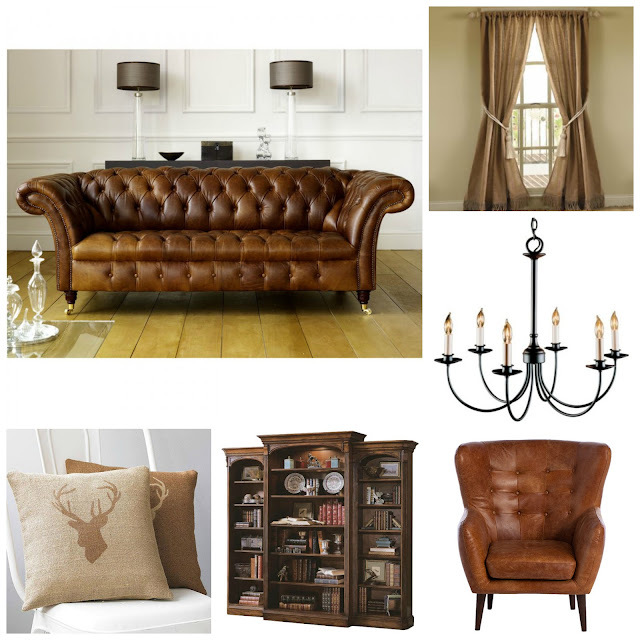 I just love big, comfy, antique-style living rooms! A squishy sofa that I can dive into is a must (you've gotta be cosy for your Netflix marathon), and so is an armchair for sitting and reading. I like my furniture to be classy without being opulent and over-the-top, so the simple chandelier fits my aesthetic perfectly. The stag cushions are adorable, even if they end up being used more frequently by the dogs of the house than by the humans, as they always are in my current home! With all the dark mahogany furniture, bright windows to let in the light from the garden are essentials too! In contrast to the living room, I'd like my bedroom to be filled with really airy, light colours! Duckegg blue is an all-time favourite colour of mine; I find it to be a really relaxing shade, which is perfect for the bedroom. My bedroom would be full of cosy touches like the gorgeous quilted throw pillows on the bed, and the textured floral lampshade. 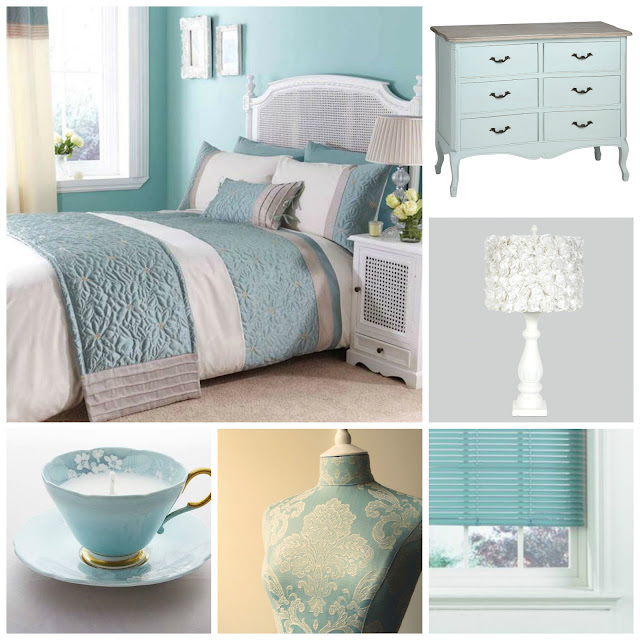 I'd also like it to be a bit quirky, hence the fun blue shutters, the teacup candle, and the dressform for decor! Fresh flowers are another essential, and I think that white roses or lilies would be perfect for a room like this. 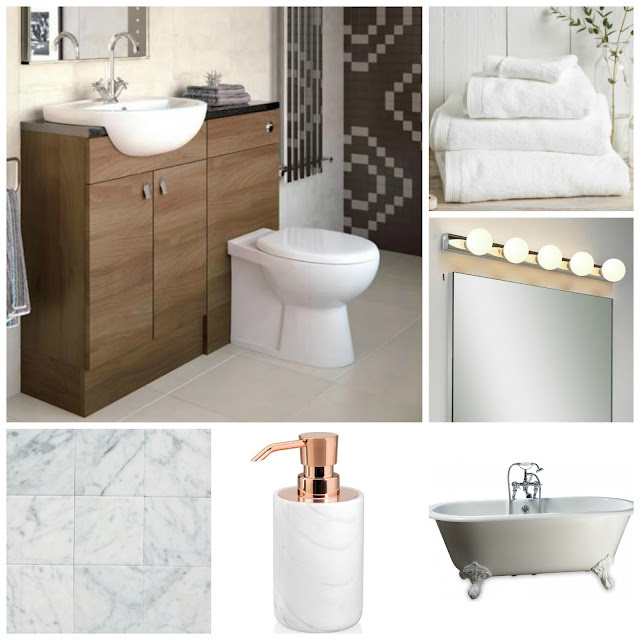 My bathroom wishlist is probably longer than for any other room! I absolutely adore freestanding baths, especially ones with feet, so that would be the central component of my dream bathroom. Classy marble tiling is another must-have, to provide backgrounds for blogging photos if nothing else! To feel like a celebrity, I'd definitely have a mirror surrounded by lights! And of course, what blogger wishlist would be complete without a copper and marble combo? That's why I've selected this adorable soap dispenser. As you can probably tell, one feature that pervades my wishlist for every single room is LIGHT. Making the most of natural light is super important to me, especially given the fact that research has shown that daylit environments increase occupant productivity, energy-levels, and comfort. However, problems such as fogged up double-glazing can not only obscure the view from your windows but block out some of that all-important natural light. If this is an issue that you're experiencing, and you need to repair your windows* ASAP, head over to Cloudy2Clear's website where they can help, at a very reasonable price! What was your favourite item from my inspirational wishlist? Are you an interior design aficionado on The Sims too? Let me know in the comments below!